This is a follow up to my last post, except today I'm talking about DIY masks, instead of ones you buy from the shops. The great thing with DIY masks is that you can make them to fit YOUR skin. If you have an oily t-zone, but dry cheeks you can just whip up 2 different masks. But one of the cons of making them is it can be annoying, time consuming and messy to clean up. Here are some amazing ones to try next time you have spare left overs in the fridge. If your pumpkin looks this cute, dont eat it! 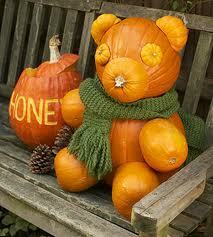 Pumpkin is loaded with natural antioxidants and exfoliating acids. It helps to brighten skin, calm breakouts and softens the appearance of fine lines and sun damage. Puree the fresh pumpkin into a thick paste. Add in the egg. Then either add in the honey or apple cider vinegar depending on your skin type. Mix well and then apply the mask on for 10-20 minutes. Rinse with cold water and apply moisturiser. This is a fantastic mask for dry and tired looking skin. It can also be used as an anti aging mask. Mix all together by either using a blender, or mash with a fork/hand masher. Put on your face and neck for 30-45 minutes. 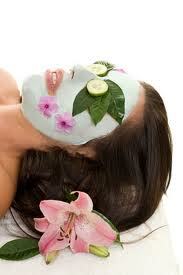 Also put some cooled cucumber slices over your eyes and bliss out while the mask makes your skin hydrated. Wash face first. Mix together the ingredients and apply to your face. Leave on for 10-15 minutes then wash off. This mask is great if you have oily skin. First beat the egg white till it is fluffy. Add the grapefruit juice and the sour cream and mix well. Apply to face for 10-15 minutes, then rinse off. You can also try 2 teaspoons of lemon juice and 1 egg white. If you want a face mask that exfoliates you can either add oatmeal for ground up almonds to your mask. When using masks for the first time, do a patch test, especially if you have sensitive skin. Use pure honey, not processed honey. Its more expensive, but is worth it. Normally honey wont do the same job. Also make sure any essential oils are suitable for applying to skin, as some are made for oil burners, not your face. What are your favourite DIY face masks?